Happy Halloween! 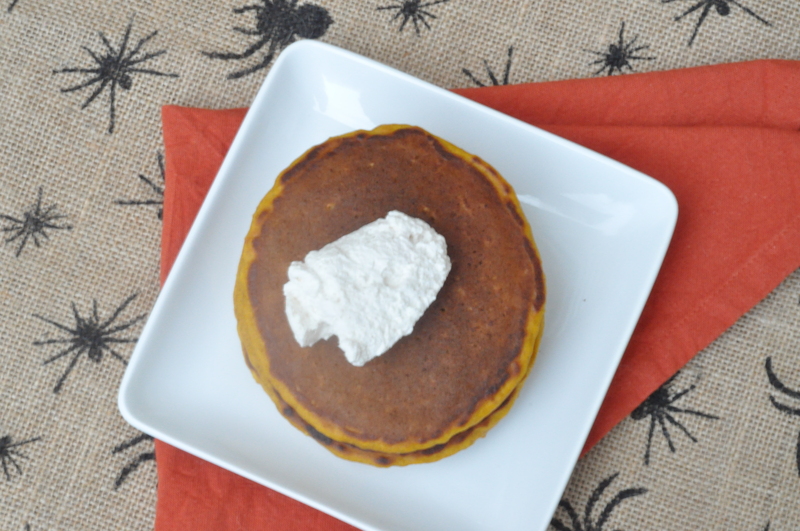 It is only the perfect day, besides Thanksgiving of course, for a pumpkin recipe. 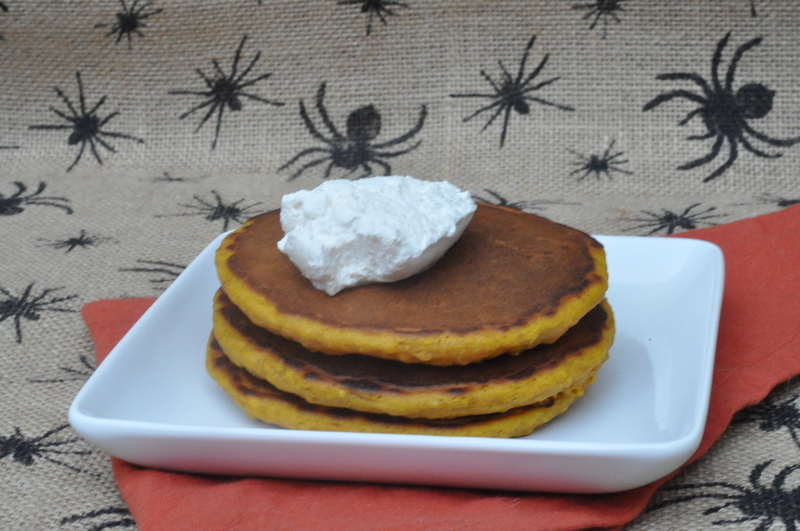 So today I bring to you pumpkin oatmeal pankcakes. What a wonderful start to the day. I started making oatmeal pancakes way back when my husband and I were living in Germany. It was a recipe from one of my cousins and we both really loved them. The oats give the pancakes a fun texture, not to mention the added fiber. This was our little way of still having an American breakfast every now and then. We were thrilled to be able to find maple syrup, not always an easy task in Europe. I decided to add some pumpkin and cinnamon to the oatmeal pancakes. Basically I completely redid the recipe, this is nothing like the original plain oatmeal pancake recipe I already had. They are indeed quite tasty. I love all things pumpkin and this did not disappoint, the boys certainly enjoyed them. The hardest part is letting the batter rest for 30 minutes. It really does help them rise better and they are so fluffy. It is even harder to let it rest with two hungry boys hovering at the counter! I managed to occupy them for a few minutes by whipping up the cinnamon whipped cream to go with these pancakes. I hope you enjoy them as much as we did! In a small bowl combine the pumpkin, milk, eggs and oil. In a large bowl combine the flour, oats, salt, baking soda, baking powder, cinnamon and nutgeg. Add the wet ingredients to the dry and stir until combined. Gently stir in the honey, just until combined. Be careful not to overmix. Let the batter rest for 30 minutes. While the batter is resting whip the cream for the topping, if desired. Once it is well whipped add the sugar and cinnamon and mix well. Set aside. Pour about 1/4 cup batter per pancake on a hot pan or electric griddle set to 375 degrees. Let the pancakes cook until bubbles form all over the top, do not flip before then. After the first flip allow the second side to cook for another 2-3 minutes. Serve hot with maple syrup, honey, butter, cinnamon whipped cream..whatever your heart desires! 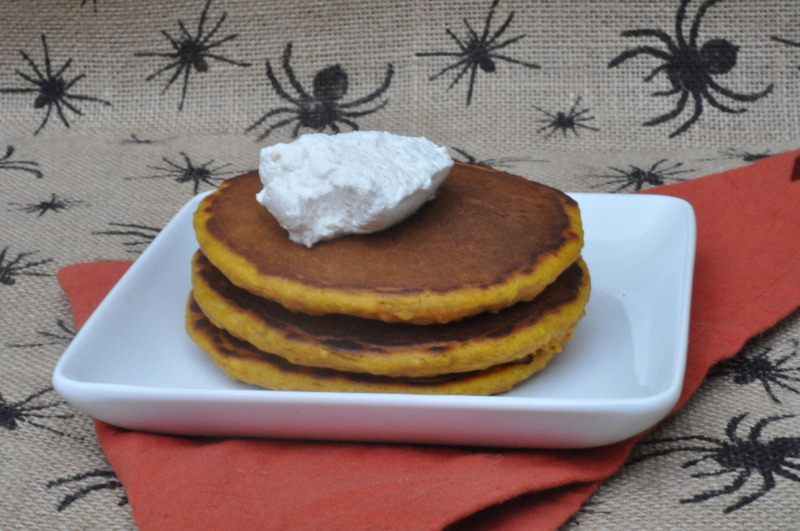 This entry was posted in Breakfast and tagged cinnamon, kid friendly, nutmeg, pancakes, pumpkin, whipped cream on October 31, 2013 by Gretchen. Our oldest recently turned six years old. Where on earth does the time go? Was it really six years ago that the doctor (1) told me “it’s a boy” and (2) said he’s big, as in 10 pounds 3.9 ounces?! So anyway, for his birthday we enjoyed a four day weekend in the mountains. The weather was wonderful and on his actual birthday we went apple picking. We went to Skytop Orchard and had so much fun. We picked over 30 pounds of apples! 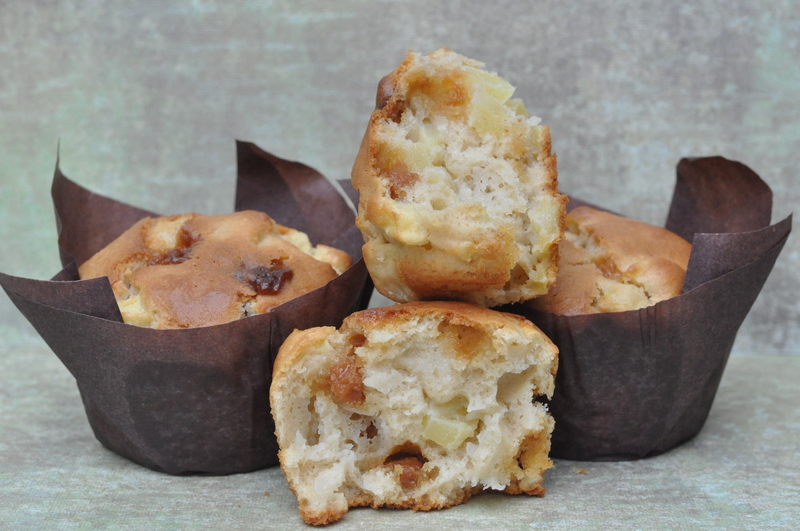 This entry was posted in Muffins and Quick Breads and tagged apples, caramel, easy, kid friendly, muffin, Peanut butter, quick on October 30, 2013 by Gretchen. 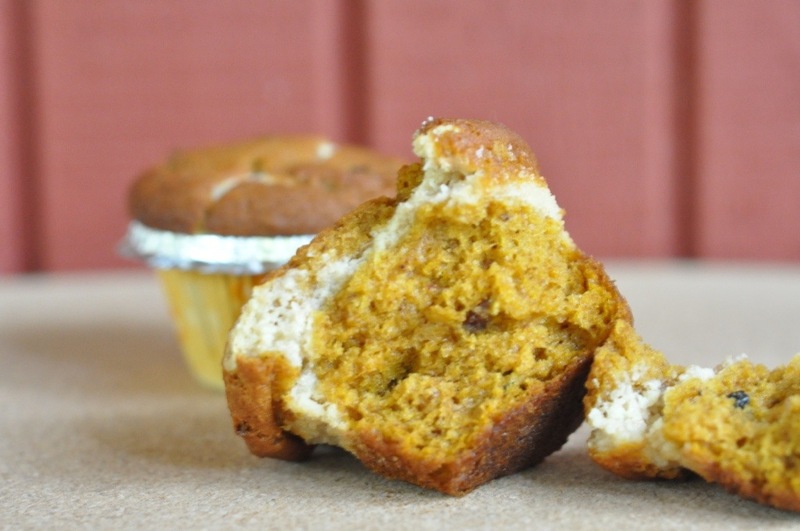 This entry was posted in Muffins and Quick Breads and tagged Autumn, breakfast, brunch, cinnamon, easy, pumpkin purée on October 23, 2013 by Gretchen. 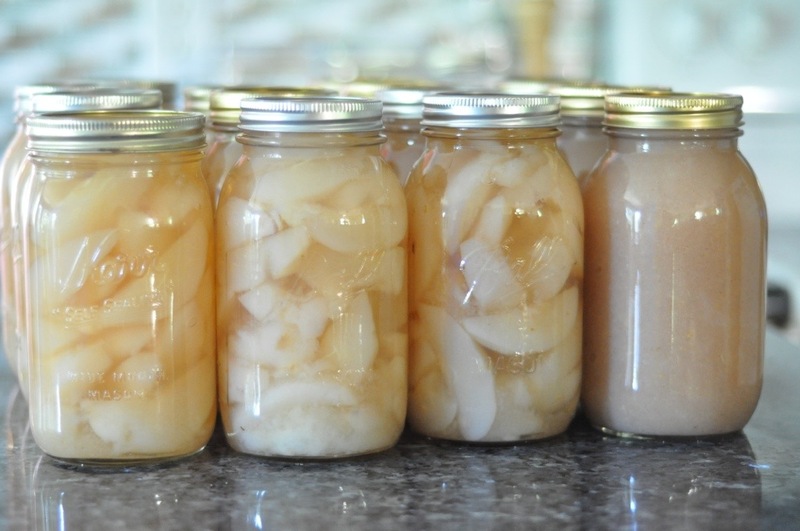 How I spent my weekend…..preserving pears! We have two pear trees which produce a HUGE amount of fruit. This weekend I could not delay it any longer, it was finally time to do something with all the pears. About two weeks ago Josh picked a wheelbarrow full of pears. We are still mastering the art of these pears. When you pick them they are still very firm, as in nearly rock hard. The boys love to eat them this way. On the weekends when they play outside all day they can easily eat five a day, EACH! That means 15 pears a day! Yet somehow I still had so many left to preserve. I did some research and discovered that you are supposed to put them at about freezing for one day and then let ripen at room temp for 5-7 days. We tried the freezer, too cold. So the fridge it was. After a day of chilling I put them in a laundry basket and let them ripen in the bonus room, locked so the boys would stay away! I did this in three batches since obviously they wouldn’t all fit in the fridge at once. The mad house began yesterday morning. I sterilized jars and lids. I peeled and sliced pears. First I made a batch of pear sauce. The boys could eat this forever. They like it plain, in yogurt or better yet warmed and over vanilla ice cream. Anyway, it was a bit disappointing to get only 3 quarts for all my effort and a burn on my wrist! The next batch would have to wait. I still hadn’t had a shower, I needed to fix lunch and the boys would need a bath. They played outside all morning which means they were covered in dirt. I had a birthday party to take them to right after lunch! After the party it was back to work. I made another batch of pear sauce and got another 3 plus quarts. I also sterilized more jars and lids for the next day. Jack enjoyed his pear sauce for his dessert, he had several servings. This morning it was another busy day. This time I preserved sliced pears. At least I got more for my work, but still, it seems like so much work for not enough results. I will never understand people who enjoy preserving! I only do it because I must. Small batch jams and such are another story, I don’t mind that. This weekend’s work resulted in 10 quarts of sliced pears and 6 quarts of pear sauce. The day is done and I still have another basket of pears. I plan to bake with some, but that still leaves quite a few….plus there are still some on the trees….. 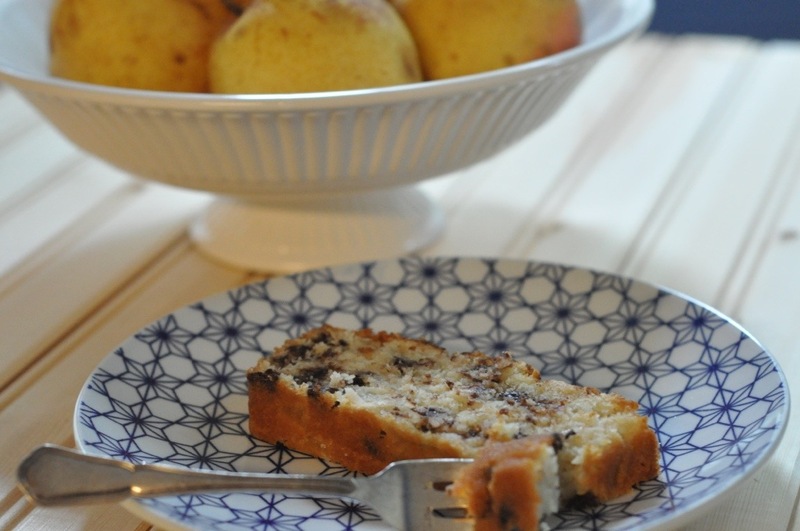 This entry was posted in Recipe-less Ideas and tagged canning, Pear tree, preserving on October 6, 2013 by Gretchen. I alluded to this recipe a while back and am now finally posting it. I made it the first time for Josh’s birthday and was unable to photograph it. Heck, I barely managed to keep the kids away from it to use for his birthday. By the way, it makes fabulous french toast! 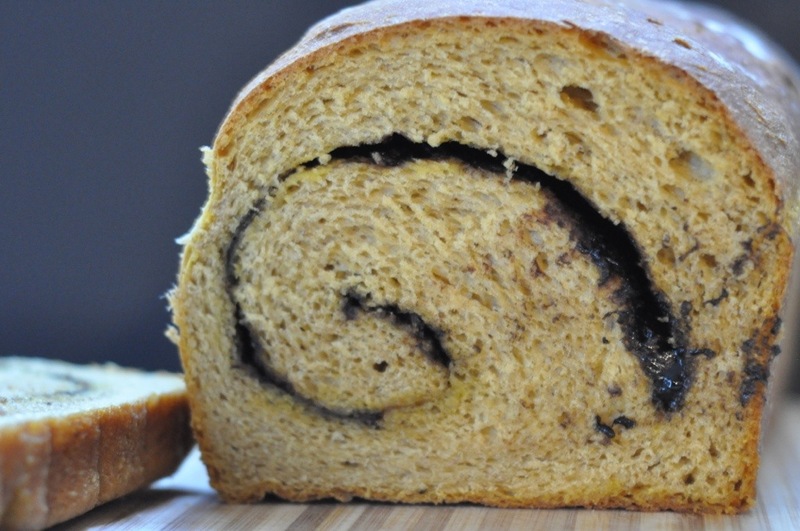 This entry was posted in Yeast Breads and Rolls and tagged Chocolate, cinnamon, pumpkin, Yeast bread on October 1, 2013 by Gretchen.